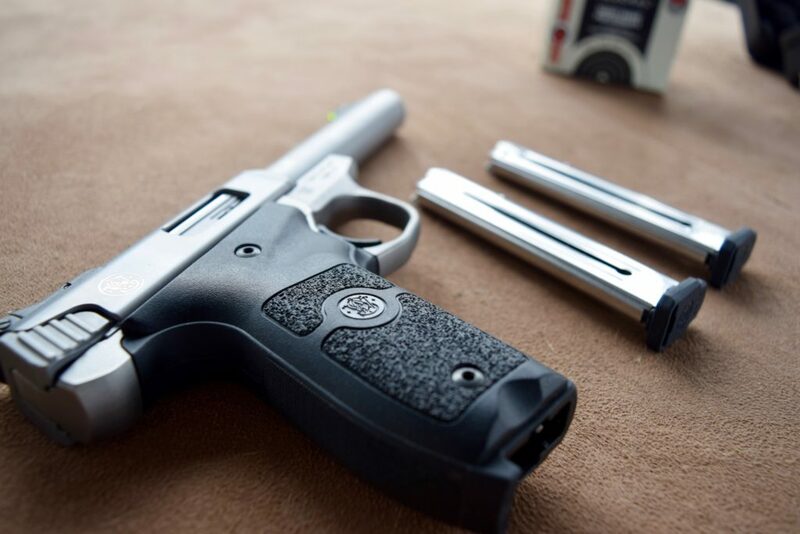 What makes the perfect learning pistol? One that builds confidence with a low amount of felt recoil. Enter…Smith & Wesson’s SW22 Victory ($369). I’ve been testing firearms for years and have been shooting them for even longer. The first gun I ever fired was a single-shot 12 gauge at just 10 years old. But it wasn’t until I joined the US Marines where I qualified with an M16A2, an M9, and a 240G that my love for firearms truly blossomed. This time, I’ll walk you through why I love the S&W Victory 22. Chances are excellent that you weren’t handed a set of keys to a dump truck before you learned how to drive a car. That truck is something that you should work up to…and not jump in right away. Could you jump in and start driving a massive truck before learning on a car? Much in the same way, you wouldn’t want to pick up a.44 magnum revolver for your first handgun when there is a much better alternative to learn on. Once you master the basics, moving on is much easier. Learning on a S&W Victory, or anything chambered in .22LR for that matter, helps to build confidence. 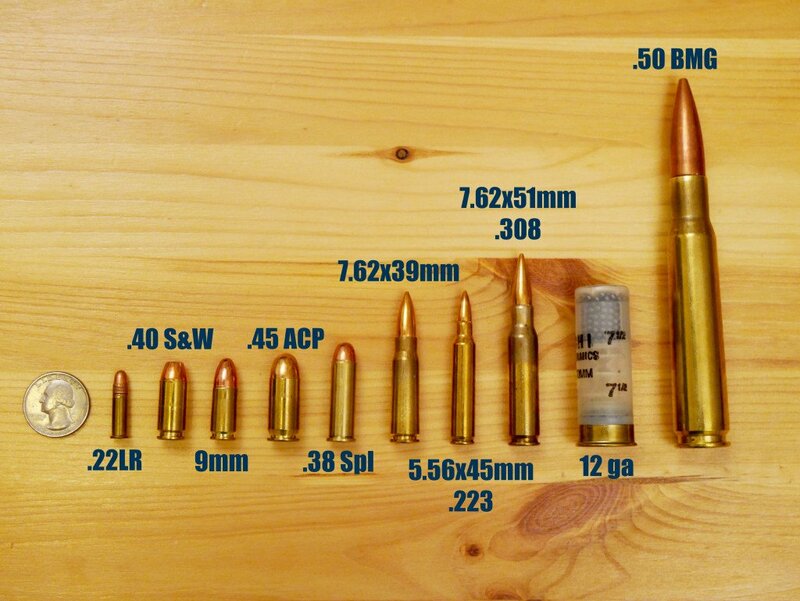 Where does the .22LR stand compared to other calibers…check out our Caliber Guide. As I told you a minute ago, my first gun was a 12 gauge shotgun. I’ll spare you the details, but my first experience shooting it was so bad that I lost all confidence in my ability to hold it properly for years. But if I had started on something more appropriate, it wouldn’t have taken me so long to become an accurate shooter. The problem, as I’d later find out, was that I was afraid of holding it too close to my face. Remember, I was only 10. Shooting mechanics, otherwise known as the way you hold a gun, stand, breathe, line up the sights, press the trigger, etc., is all important for accurate shooting. It’s low-recoiling and therefore builds confidence because it’s easily controlled and easier to get on target. This means people will want to shoot it more. And practice makes progress. Because it’s a small, relatively quiet round (compared to others), it isn’t as scary. They’ll continue to shoot it until the basics are mastered. Then, at some point, once the basics are mastered, the shooter can begin looking into something more satisfactory for self-defense (Best Handgun for Self-Defense). 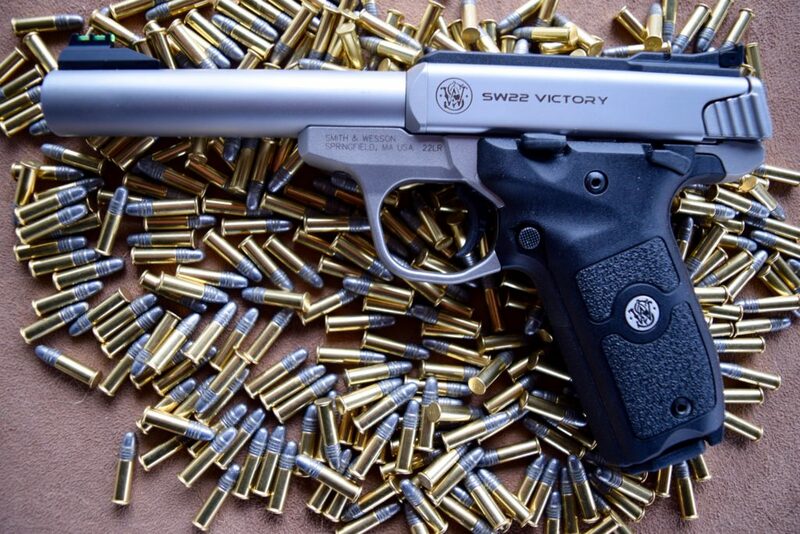 The S&W Victory isn’t just good for beginners. It comes with a match-grade barrel that it is very accurate right out of the box. 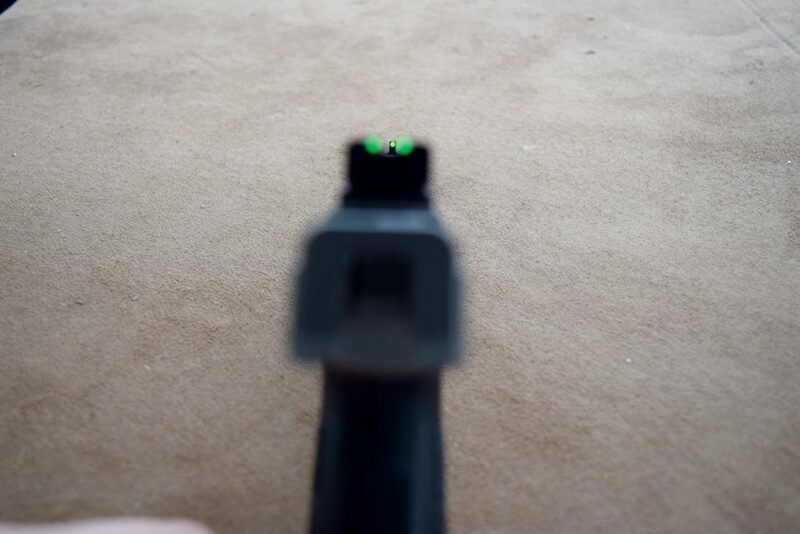 The green, fiber optic sights and low felt recoil helped me acquire targets in quick fashion. Because it’s so accurate, it’s a great pistol to shoot in competitions where a .22LR pistol is permitted, like the NSSF Rimfire Challenge, NRA Bullseye Pistol, or the Steel Challenge. 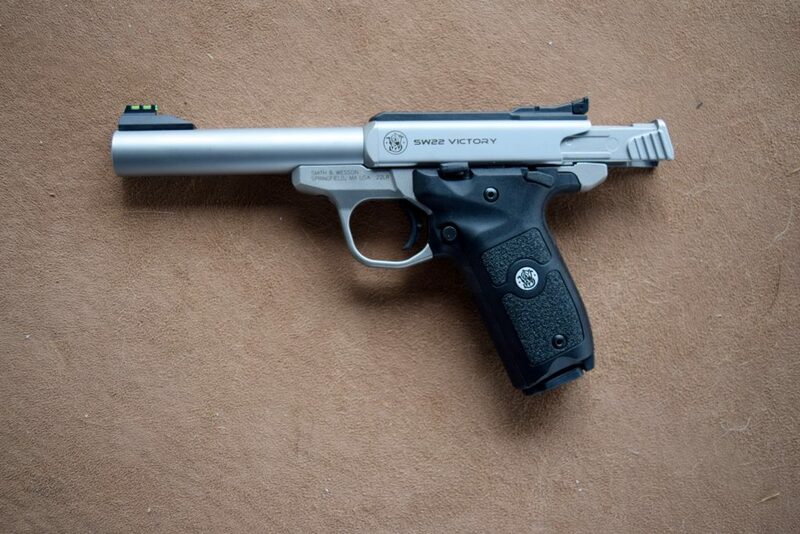 The 22 Victory is a single action pistol that comes with tools, a Picatinny rail, and two 10-round magazines. It’s comprised of stainless steel with a textured, polymer grip and removable side panels for customization. The firearm feels great in hand even with my gorilla sized mitts, and the controls are within reach. Speaking of the controls (thumb safety and magazine release), as of this writing, this pistol only comes in right-handed form. 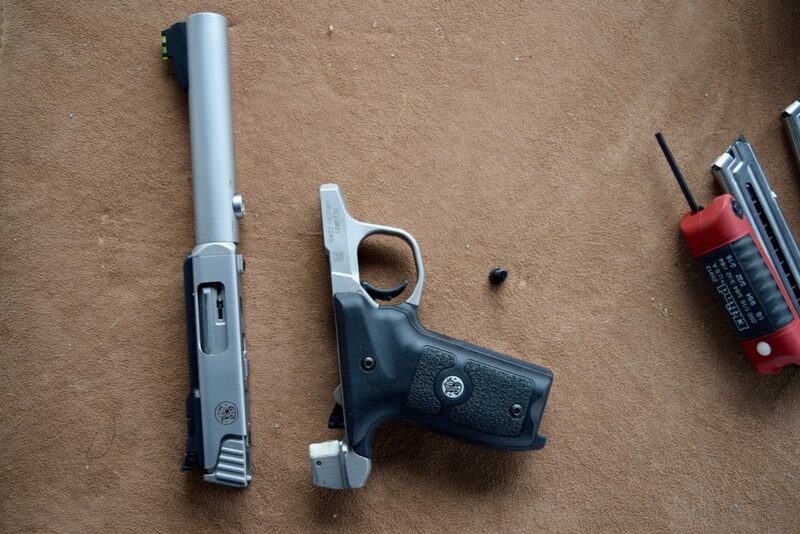 The S&W Victory performed at nearly flawless levels while at the range, and I’m happy to report that after several hundreds of rounds down range, I experienced only a few dud rounds, attributed to the bulk ammo I was using. 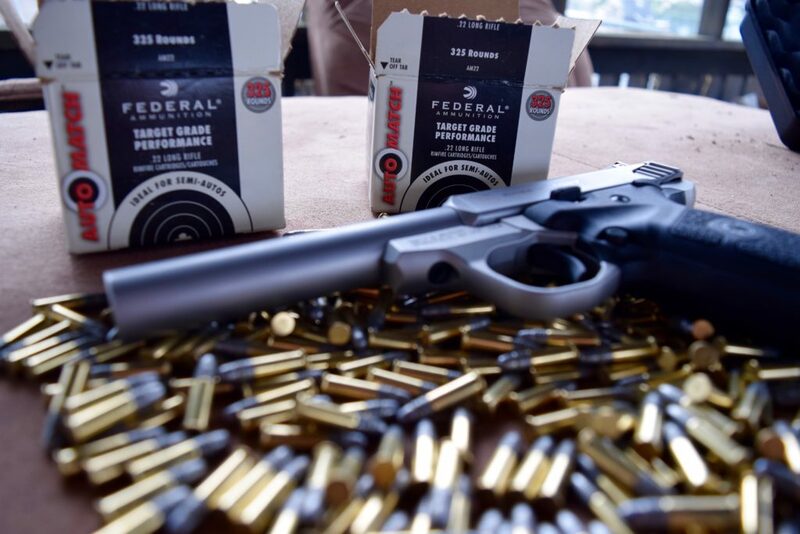 The ammo in question was Federal Ammunition’s Auto Match 40 grain .22 LR, 325 round boxes and some Winchester Red Box. First, while still deadly with correct shot placement, the .22 LR is under-powered as a self-defense cartridge (even though it could work in a pinch). Second, this pistol is much too large with its 5.5 inch barrel, overall length of 9.2 inches, and 36 ounce weight. 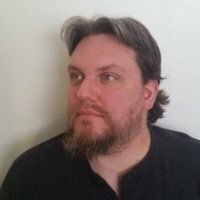 In fact, if I had to come up with a complaint, it is that it might be much too heavy for some people to shoot for extended periods of time. While it was fine for me to shoot, someone else may find a problem with its weight. Most of this weight is in the barrel, which is fine because it’s not only designed to be accurate, but also helps reduce recoil on an already low recoiling gun. It doesn’t feel unbalanced when in hand, just heavy. 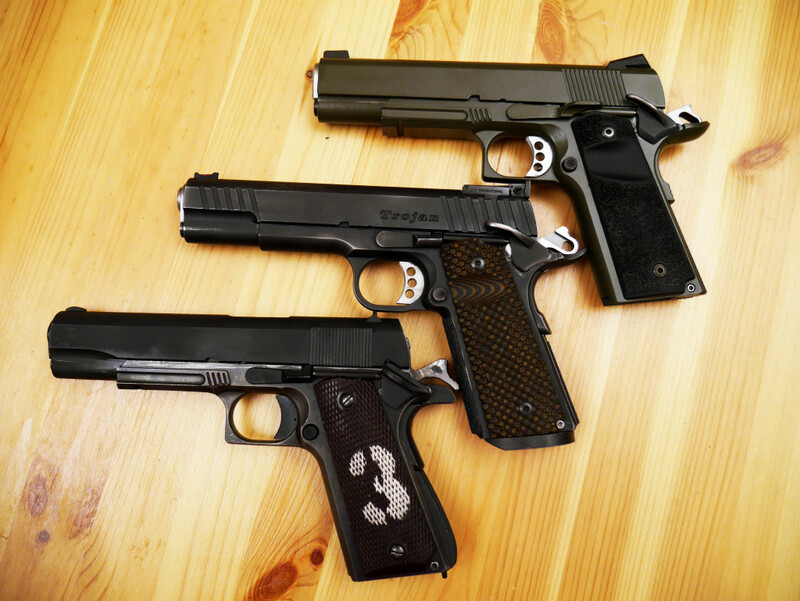 In fact, I have some full-size 1911s in my collection that weigh less (empty) than this S&W. This pistol is likely far more accurate than I am, and can say that I placed a target at 25 yards and was able to hit it more often than not in the off-hand (standing) position. During a different range trip, I placed targets at various distances from 5 to 25 yards and performed different shooting sequences. Overall, I’m happy with this $409 pistol (base MSRP) and its performance to date. 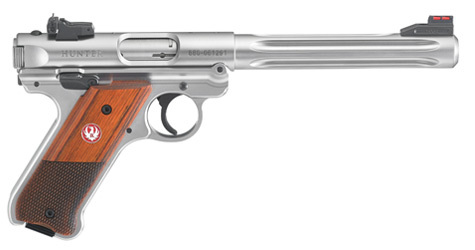 In my humble opinion, the Victory is more aesthetically pleasing than its main competition, manufactured by Ruger. The Victory also has the added bonus of being customizable, which sweetens the deal even more. 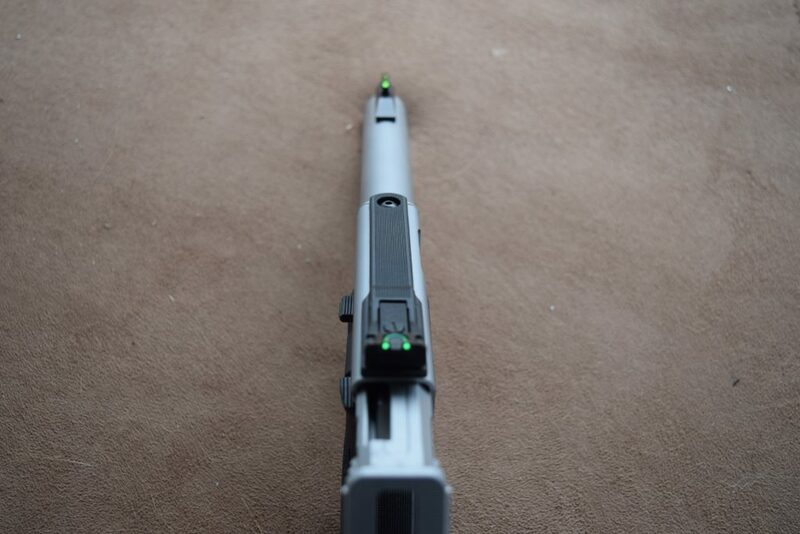 The fully-adjustable rear sight can be removed and replaced with a Picatinny rail/optic. Side grip panels, barrel, trigger, and muzzle devices can be easily swapped. You can even add a “Halo” rear charging ring for super fast loading. 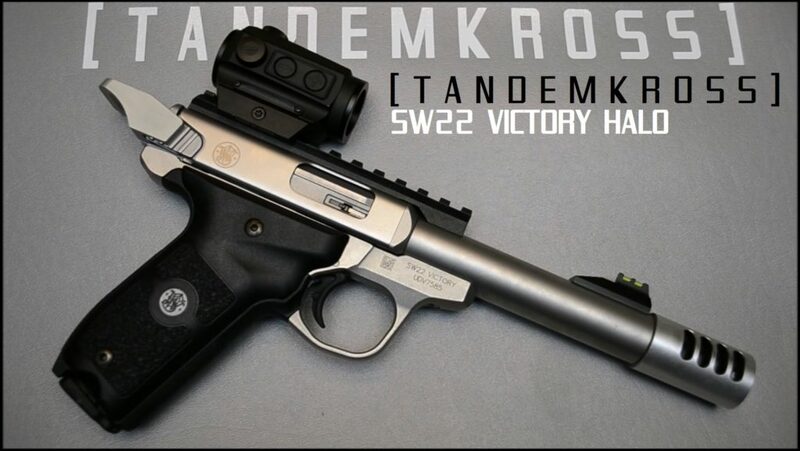 The above picture is fully modded from Tandemkross, which also has a bunch of other stuff for .22LR pistols/rifles. They have also released their new HiveGrip that adds a cool hex-pattern and extra-grippiness. Now back to the barrel…getting to it is incredibly easy with the removal of a single Allen-head screw. Removing the screw with the provided tool was easy. From there, pull the two pieces apart. Next, pull the bolt out, and then remove the barrel screw. On my second time performing this take down, I timed myself at 91 seconds. Not bad, considering that this was only my second time doing it. Oh, and that time also includes me putting it back together again. 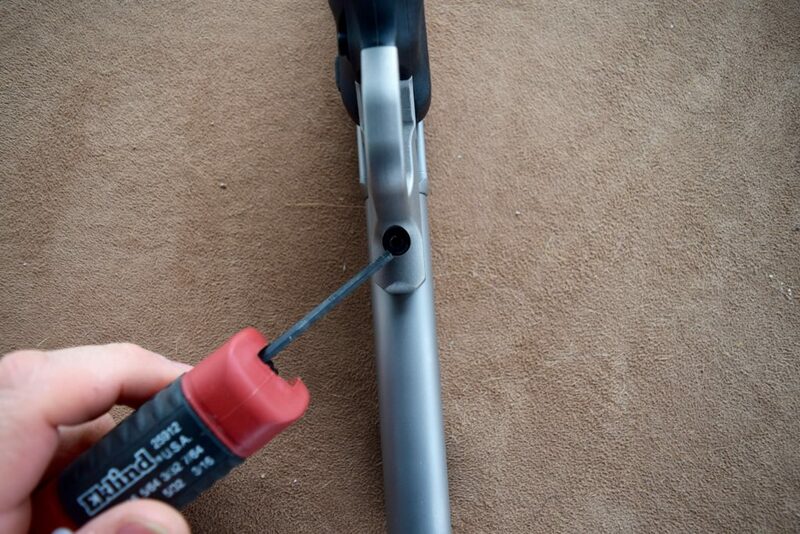 There is one extra step, if you’d like to pull the recoil spring out, simply push on it with the Allen wrench and it’ll come right out for your inspection and cleaning purposes. 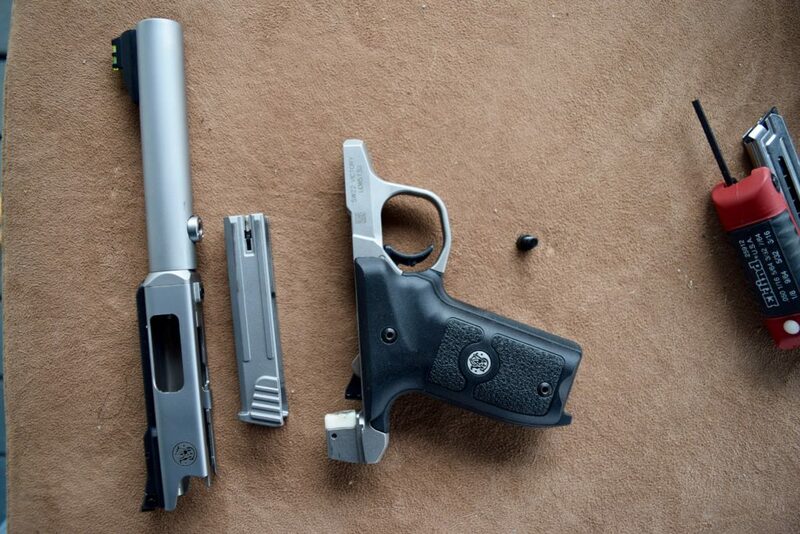 Finally, when you’re done cleaning your little plinking pistol, it goes back together as easily as it came apart. No failures due to the gun in the several hundred rounds I shot. Only fails were from dud rounds…but that’s the way it is with .22 LR sometimes. It’ll do its part with the match quality barrel. It’s pretty long and heavy…even for me. For smaller shooters it might get cumbersome after a while. I think it looks better than the Rugers. 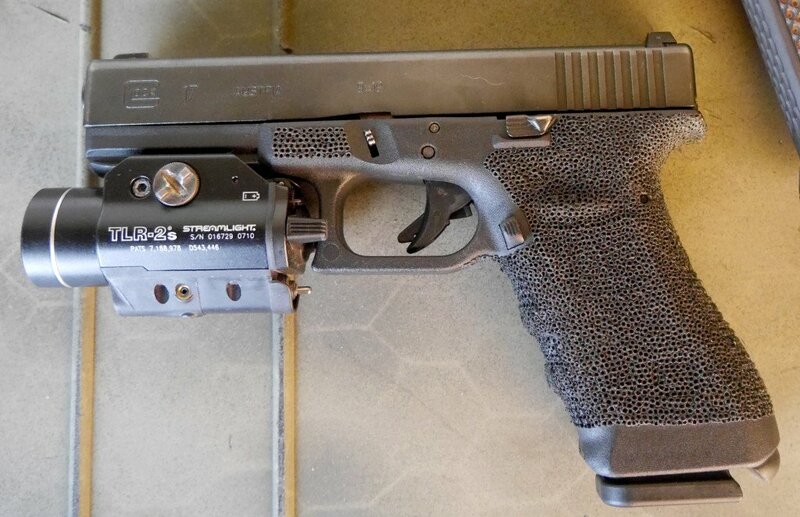 A pretty good aftermarket selection of upgrades for a relatively new gun. Awesome value for around $369. Magazines could be cheaper at $25 though. Overall, I recommend this gun for anyone looking to learn, or teach someone else, how to shoot. 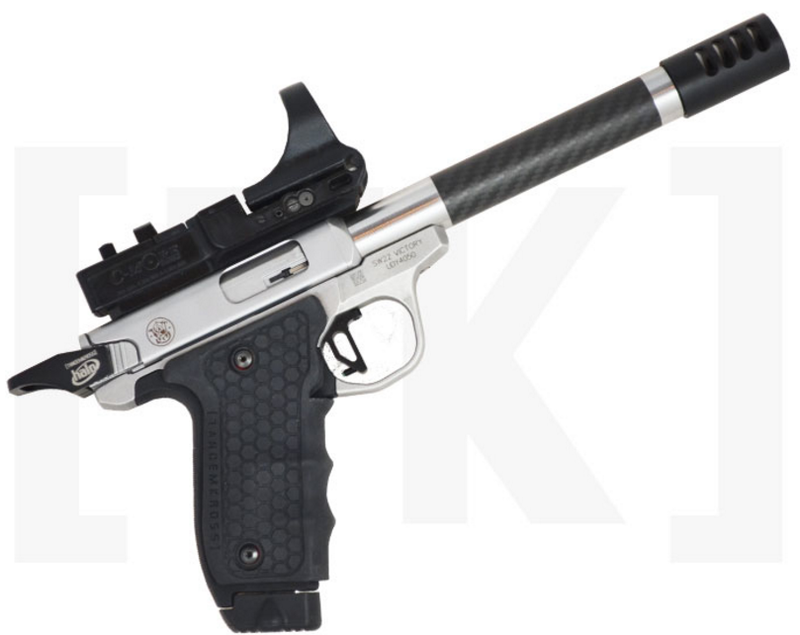 Or, if you’re in the market for a match gun, the SW22 ($369) is also a viable option. With a great price, good ergonomics, the option to customize, along with incredible reliability, this is a great buy. Thanks for sharing your experience…hopefully they make it right for you! I liked the article and love this gun. Just bought one and it shoots as good or better than many so called target pistols. I wish there were a few more places making custom parts for it. TANDEMKROSS and Volquartsen are the only tow I know of. I’m looking for an extended charging handle and don’t like the “Halo”. Any ideas would be appreciated.